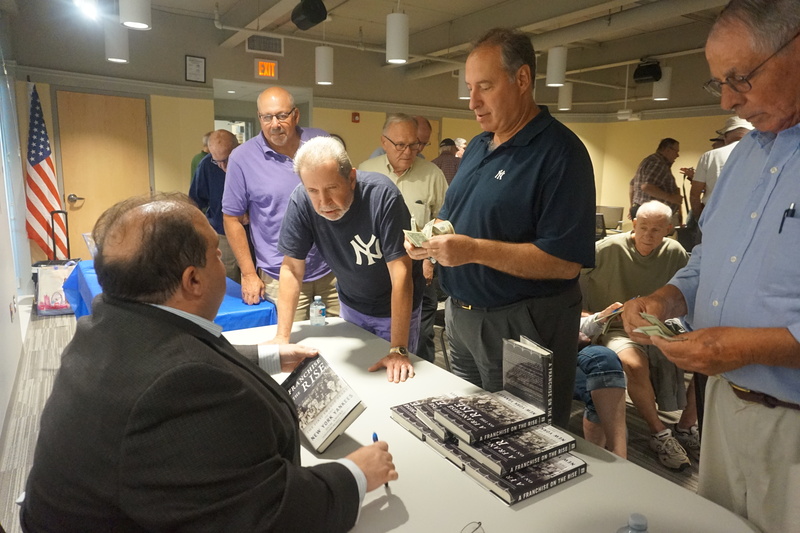 About 30 knowledgeable baseball fans attended an entertaining talk on July 26 by Dom Amore, author of “A Franchise on the Rise: The First Twenty Years of the New York Yankees.”Amore, an award-winning sportswriter for the Hartford Courant, regaled the audience with colorful stories and Yankee lore. 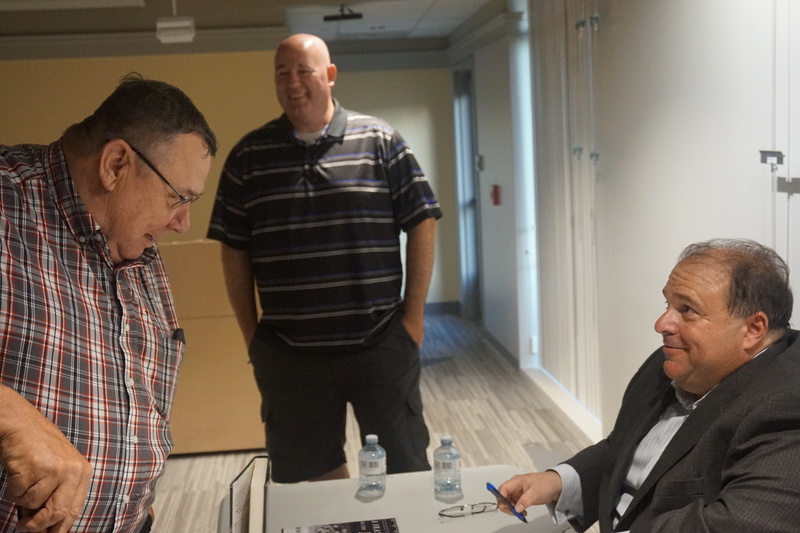 In a touching moment, Louise Schott of Tolland showed Amore a tie that broadcaster Mel Allen had given to her brother, Frank Leja, a young first baseman from Holyoke, who played 26 games for the Yankees in 1954-55. 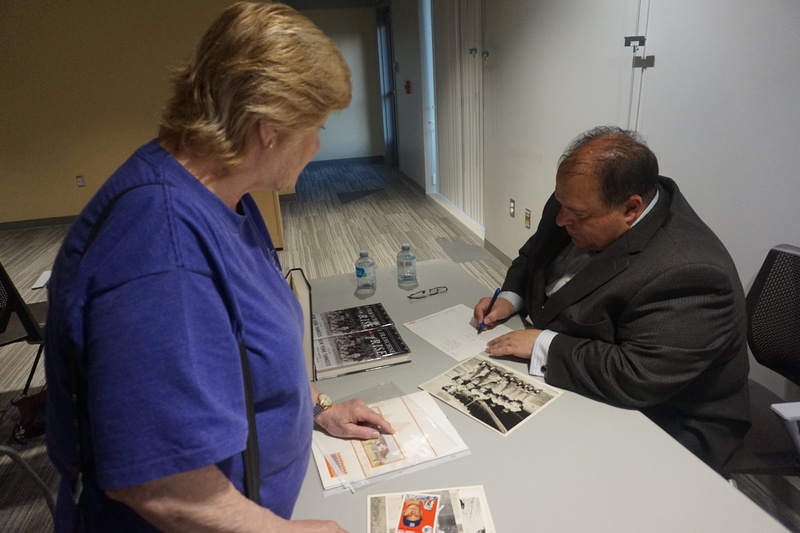 After the talk, Amore helped her identify some players in a photo of her brother and promised to get back to her with the names of the other players once he did some research. This entry was posted in News on July 26, 2018 by Kate Farrish.